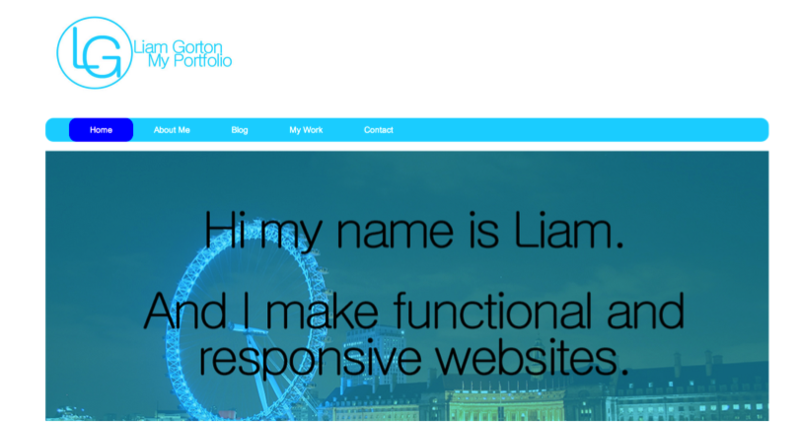 Today I presented a portfolio website which I have been creating over the past few weeks. Within this presentation I received feedback from other members of my course and I will be using some of the feedback to make changes to my portfolio site to make it better. One piece of feedback which was received was that the home page which I had created (see image below) was the best page of the website and was from a design view, professional and clever. The page contained automatic slide show which takes up most of the page. The slides included some of my favourite design quotes. Another piece of positive feedback which I have received was that people appear to like the logo which was within the website. The feedback which I received was that people liked the design of the logo and they also liked the rollover feature of the logo which would make the logo when hover over go from image 1 to image 2. However I also received some negative feedback from the website. One piece of negative feedback which I have recieved was that some people felt that the colours that I used were to saturated. When looking at the website after I received this piece of feedback, I also started to agree with this piece of feedback. Another piece of negative feedback that I received was that apart from the home page the other pages within the site were quite boring. The last piece of negative feedback that I received was some that I actually found from myself. This is because when previewing my site on another computer, the footer of the website was incorrect, in that the logos of twitter, tumblr, email and linkedin were out of line. When I investigated why this happened it appeared that I had made a mistake with the CSS of the footer, in that I had designed it using Pixels. This meant that when I was creating the site and previewing the website it would look correct on my screen and screens of the same size. However on different sized screens the footer would not be correct. The way that I will have to correct this is when redesigning the site I will use percentages not pixels as this will automatically adjust the footer when on different sized screens. From the feedback that I have received I will be redesigning the website so that it is more professional and in general looks and works better.